Sporting Alert – Top-ranked Colorado women and Northern Arizona men captured the respective team titles at the 2016 NCAA Mountain Region Championships, hosted by the Utah State University in Logan, UT, on Friday, Nov. 11. On the women’s side, Colorado placed all five scorers in the top 10 on its way to tallying a total score of just 35 points to easily beat reigning NCAA national champion and No. 6 New Mexico which tallied 109 points for second place. The top two finishers earned the automatic qualifying spots for next weekend’s NCAA National Championship in Terre Haute, Ind. Air Force, which placed two finishers in the top four, ended third with 111 points, while Utah was fourth (136) and BYU (146) round out the top five. Colorado will be one of the leading contenders for the women’s team title at the NCAA National Championships and the Buffs used Friday’s Mountain Region Championships as a dress rehearsal. Sophomore pacer Makena Morley, who finished four in the women’s 6,000-metres in 20:19.90, led a solid Colorado pack, which ran together and stayed within seconds of each other. Junior Kaitlyn Benner was sixth (20:20.30), senior Erin Clark (20:20.70) and sophomore Mackenzie Caldwell (20:21.00) were seventh and eighth, respectively. Freshman Tabor Scholl completed the scorers with a 10th place finish with a time of 20:26.20. “The strategy was to run near the top group and to just advance,” head coach Mark Wetmore. Asked if he thinks such a dominant performance at the Mountain Region Championships prepared his team for next week’s nationals, Wetmore said: “I don’t know if this prepares them. In the individual result, senior Alice Wright of New Mexico won the 6k in a time of 19:59.90, with Winny Koech of UTEP (20:17.10) second, Gillespie Carina of Air Force (20:17.80) and team-mate Jaci Smith (20:19.90) finishing third and fourth, respectively. 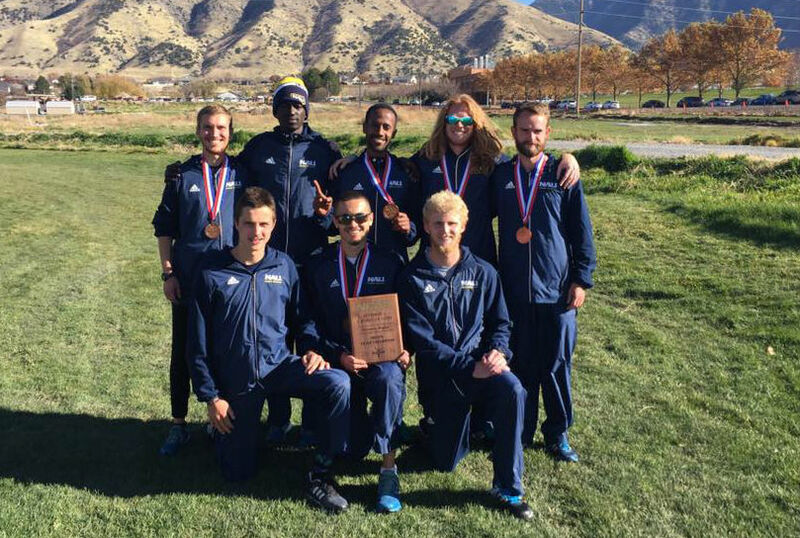 Northern Arizona won the men’s team title at the 2016 NCAA Mountain Region Championships with 60 points. The Lumberjacks were landing third third regional title in five seasons. Colorado took second with 76 points and BYU rounding out the top three with 79 points. NAU’s Futsum Zienasellassie was the 10k individual race winner with a time of 30:54.10. His team-mates Cory Glines (30:59.90) and Tyler Day (31:00.90) were sixth and seventh overall, with the other two scorers, Matthew Baxter (31:19.70) and Nathan Weitz (31:23.70) getting home at 22nd and 24th, respectively. Overall in the 10K, UTEP’s Jonah Koech was second (30:58.60) and BYU’s Nicolas Montanez was fourth (30:59.50). Northern Arizona and Colorado secured the two automatic bids for the national championships on the men’s side.